“As a practicing scientist, I appreciate great communication of science as much as scientific research itself. If we are unable to effectively explain and transfer the meaning of science to society, then it will become untrusted, marginalized and repudiated. 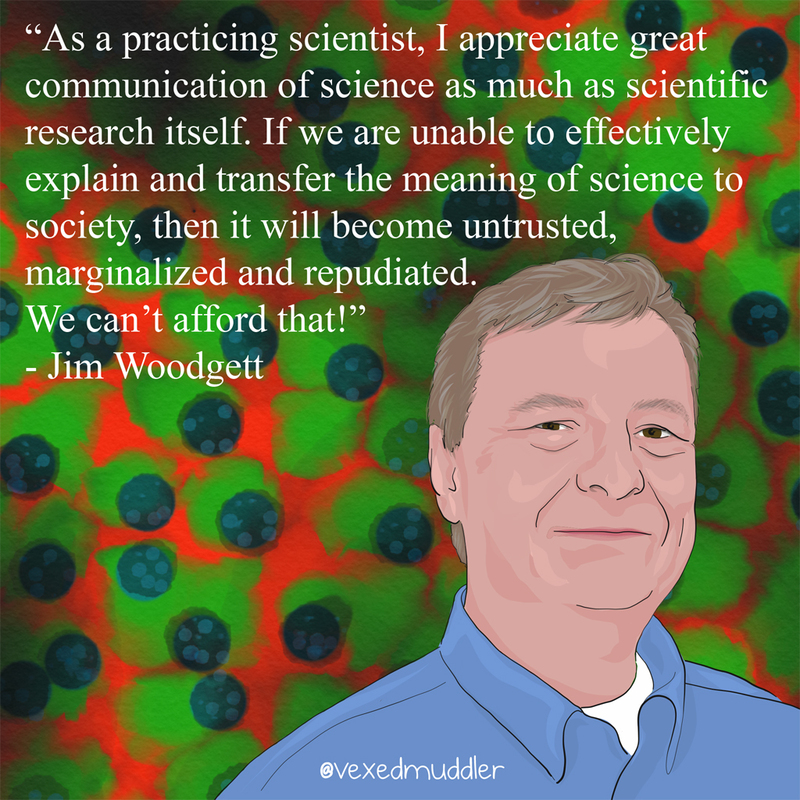 We can’t afford that!” – Jim Woodgett, Director of Research, Lunenfeld-Tanenbaum Research Institute. Originally posted on September 15, 2016.